Corn on the cob tastes pretty darn good with just a bit of salt and butter (and not even that, if you have a sweet variety). But every once in a while we like to spice it up, and go for a more flavorful dish. Just add minced chipotle chilis to the butter, lime juice, salt, and black pepper, and heat in a saucepan for 30 seconds. 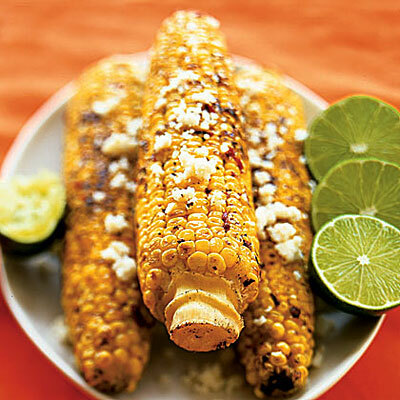 Brush the mixture on your corn and grill for 4 minutes, turning frequently. Top with crumbled queso fresco, and serve. Yum! 23 Superfruits You Need Now!